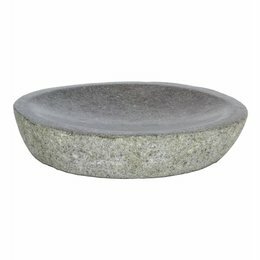 With this beautiful soap dish of river stone has a nice place to put your hand soap in the bathroom, kitchen or toilet. 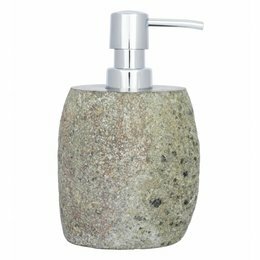 With a soap dispenser made of river stone you get a beautiful piece of nature in the house. 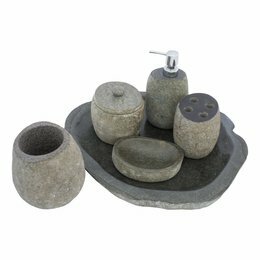 This 6-piece bathroom accessory set Flores consists of a Tray, Soap Dispenser, Toothbrush Holder, Toilet Brush Holder, Soap Dish and a Jewellery Box. 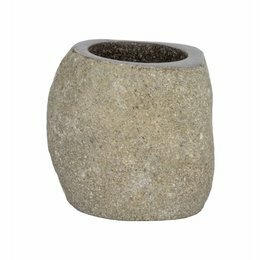 This toilet brush holder made of river stone is a nice accessory for the bathroom or toilet. 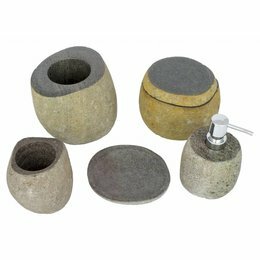 5-piece bathroom accessory set Flores van River stone contains a soap dispenser, soap dish, toothbrush cup, jewellery box and a toilet brush holder. 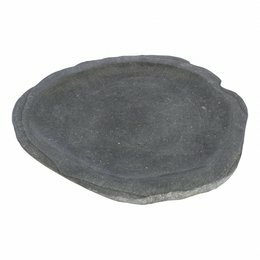 This Tray from our series Flores made for the bathroom but you can also use it as a fruit bowl or for something else. Height is 3 cm and a Ø of 40 to 45 cm. 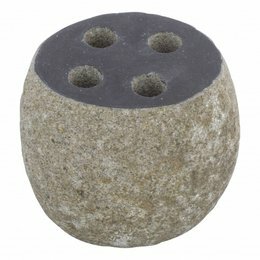 This toothbrush holder of river stone gives a nice permanent place in your bathroom for four toothbrushes. The Height is 11 cm and the diameter is 11 to 14 cm. 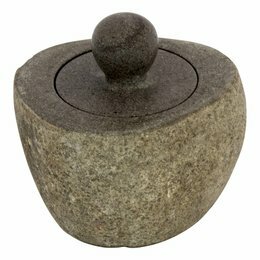 In this beautiful jewellery box with handle made of river stone you can store small jewellery, hair bands, pins or other small items. 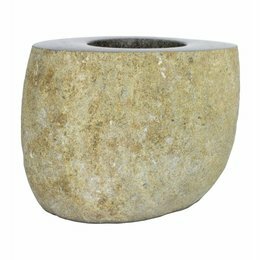 Never a loose toothbrush or tube of toothpaste on the washbasin with this toothbrush cup made of river stone. 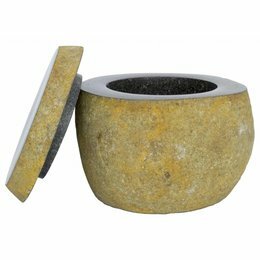 In this beautiful jewellery box made of river stone you can store your cotton swabs, small jewellery or for example your hair bands or pins.